Silver Pirate cob, antiqued finish. The dime is shown for size comparison and is not included with this product. 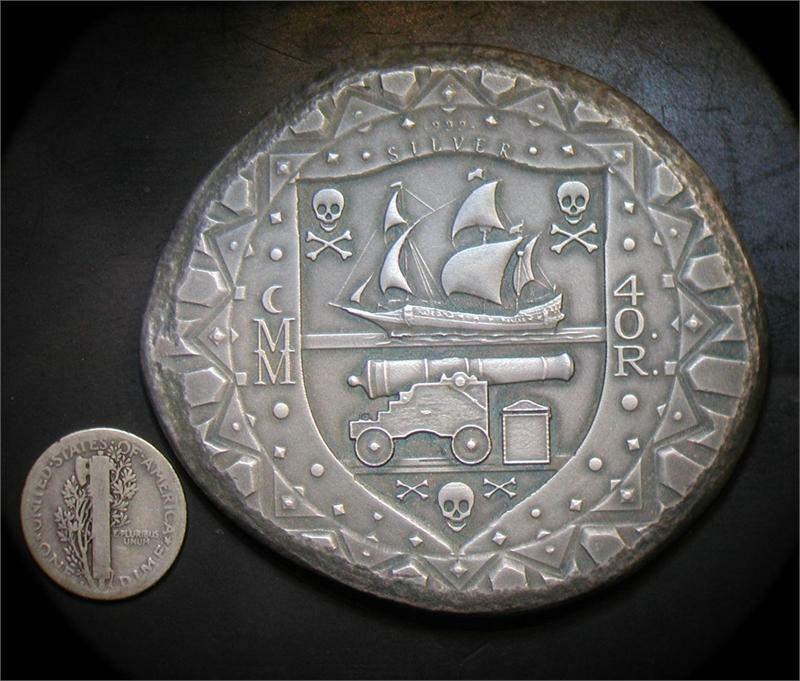 Design elements include: "D" and "C" for Daniel Carr (adjacent to pistol grips); "MMC" (Moonlight Mint mark, reminiscent of the Mexico City mint mark "Mo"); "N", "E", "W", "S" on bones forms a compass; "40R." (40 reals symbolic face value - the weight of this cob is roughly five times the weight of a traditional 8 Reals "Piece of Eight"). 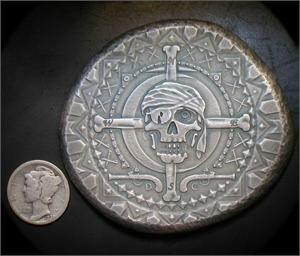 Struck on hand-poured 999 silver cobs, each weighs 4 troy oz. Shapes and surface finishes vary.